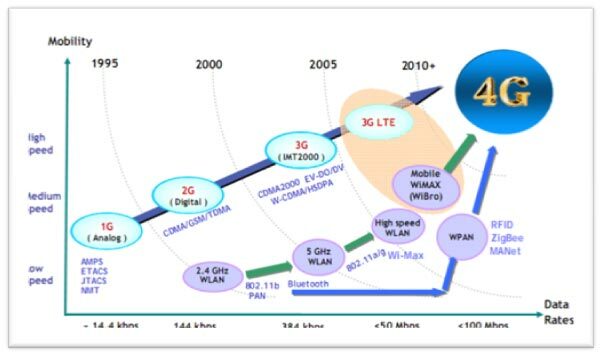 2G: 2G (or 2G) is short for second generation wireless telephone technology. Second generation 2G cellular telecom networks were commercially launched on the GSM standard in Finland by Radiolinja in 1991. Three primary benefits of 2G networks over their predecessors were that phone conversations were digitally encrypted; 2G systems were significantly more efficient on the spectrum allowing for far greater mobile phone penetration levels; and 2G introduced data services for mobile, starting with text messages. After 2G was launched, the previous mobile telephone systems were retrospectively dubbed 1G. While radio signals on 1G networks are analog, radio signals on 2G networks are digital. Both systems use digital signaling to connect the radio towers (which listen to the handsets) to the rest of the telephone system. 2G has been superseded by newer technologies such as 2.5G, 4G; however, 2G networks are still used in many parts of the world. GSM (TDMA-based), originally from Europe but used in almost all countries on all six inhabited continents. Today accounts for over 80% of all subscribers around the world. Over 60 GSM operators are also using CDMA2000 in the 450 MHz frequency band (CDMA450). PDC (TDMA-based), used exclusively in Japan iDEN (TDMA-based), proprietary network used by Nextel in the United and Telus Mobility in Canada IS-136 a.k.a. "D-AMPS">D-AMPS (TDMA-based, commonly referred as simply 'TDMA' in the US), was once prevalent in the Americas but most have migrated to GSM. 2G services are frequently referred as Personal Communications Service, or PCS, in the United States. Digital voice data can be compressed and multiplexed much more effectively than analog voice encodings through the use of various codec's, allowing more calls to be transmitted in same amount of radio bandwidth. The digital systems were designed to emit less radio power from the handsets. This meant that cells had to be smaller, so more cells had to be placed in the same amount of space. This was possible because cell towers and related equipment had become less expensive. In less populous areas, the weaker digital signal transmitted by a cellular phone may not be sufficient to reach a cell tower. This tends to be a particular problem on 2G systems deployed on higher frequencies, but is mostly not a problem on 2G systems deployed on lower frequencies. National regulations differ greatly among countries which dictate where 2G can be deployed. Analog has a smooth decay curve, but digital has a jagged steppy one. This can be both an advantage and a disadvantage. Under good conditions, digital will sound better. Under slightly worse conditions, analog will experience static, while digital has occasional dropouts. As conditions worsen, though, digital will start to completely fail, by dropping calls or being unintelligible, while analog slowly gets worse, generally holding a call longer and allowing at least some of the audio transmitted to be understood.